Powerful clip or tabletop light. The ideal stage light for the performing musician. 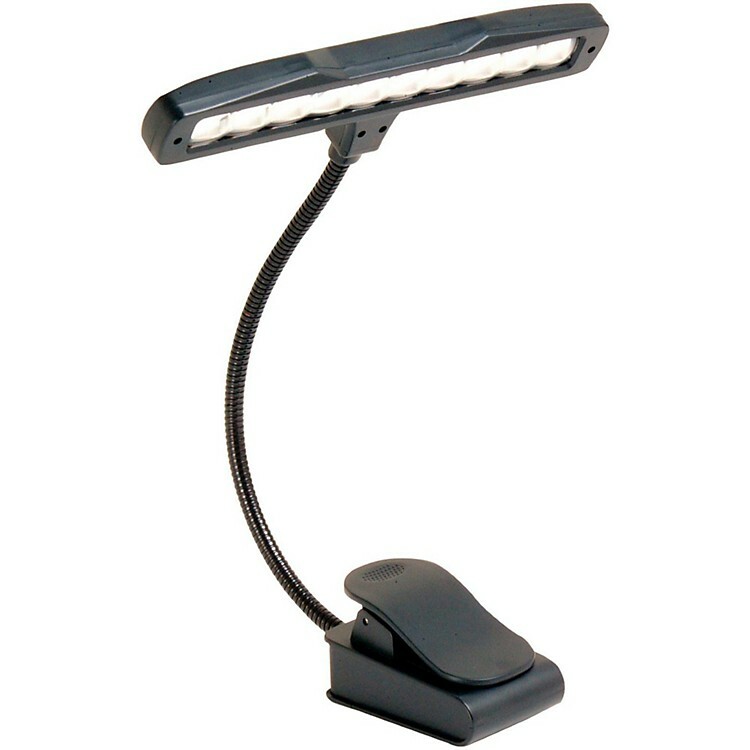 The Onstage Clip-On LED Light features 10 LED lights, which provides a wide area of coverage and illuminates up to four pages of sheet music. The power switch is conveniently located and features two brightness levels - high and low. The back shade blocks any glare from the audience. The sturdy and flexible gooseneck can be positioned in many directions and the padded clip easily attaches to your music stand or pedal board. The compact design also sits flat on a desktop! Power source: Powered by three AA batteries or AC Adapter (included). Order now and see your sheets perfectly.